Product prices and availability are accurate as of 2019-04-25 19:47:43 UTC and are subject to change. Any price and availability information displayed on http://www.amazon.co.uk/ at the time of purchase will apply to the purchase of this product. With so many drones on offer these days, it is good to have a manufacturer you can have faith in. The SP Racing F3 Flight Controller Acro 6DOF Cleanflight for QAV250 ZMR250 QAV280 QAV180 QAV210 FPV Racing RC Drone Quadcopter Supported Oneshot ESC by LITEBEE is certainly that and will be a perfect present. 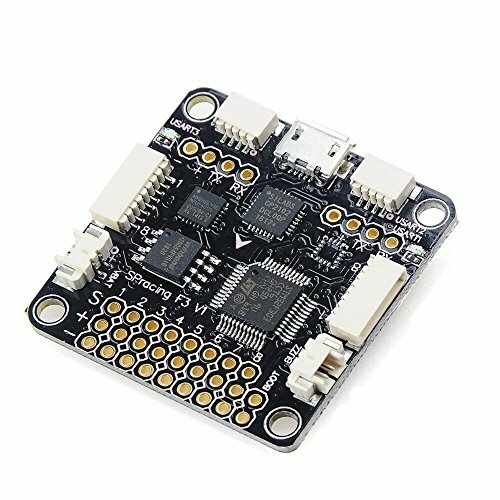 For this reduced price, the SP Racing F3 Flight Controller Acro 6DOF Cleanflight for QAV250 ZMR250 QAV280 QAV180 QAV210 FPV Racing RC Drone Quadcopter Supported Oneshot ESC by LITEBEE is widely recommended and is a regular choice for most people who visit our site. LITEBEE have added some great touches and this results in good bargain price. 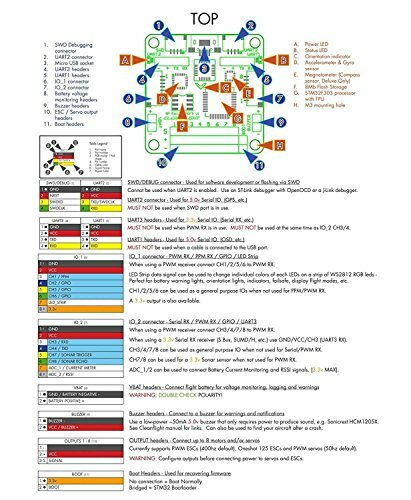 Support Supports SBus, SumH, SumD, Spektrum1024/2048, XBus, PPM, PWM receivers. 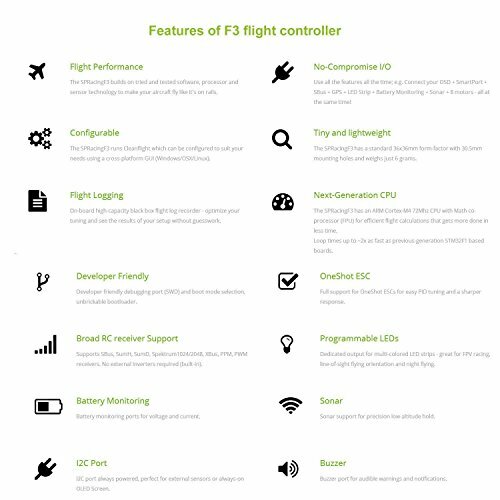 The SPRacingF3 gives you all the features you need for the heart of your aircraft, whether you're into FPV racing, acrobatic flying or aerial photography it's perfect. 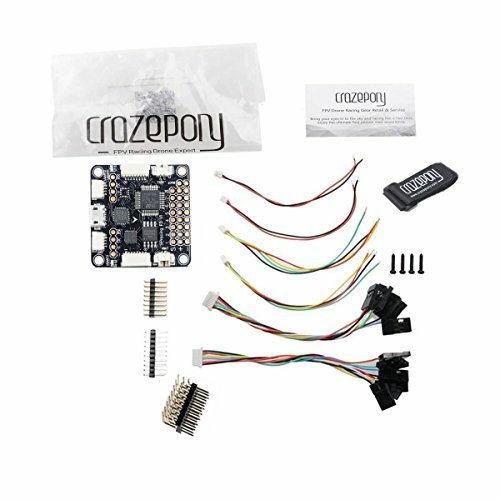 Features: Buzzer,I2C Port,Sonar,Battery Monitoring,Programmable LEDs,Broad RC receiver Support Tiny and lightweight etc Next-Generation CPU.The SPRacingF3 has an ARM Cortex-M4 72Mhz CPU with Math co-processor (FPU) for efficient flight calculations that gets more done in less time.Loop times up to 2x as fast as previous-generation STM32F1 based boards. No-Compromise I/O. Use all the features all the time; e.g. 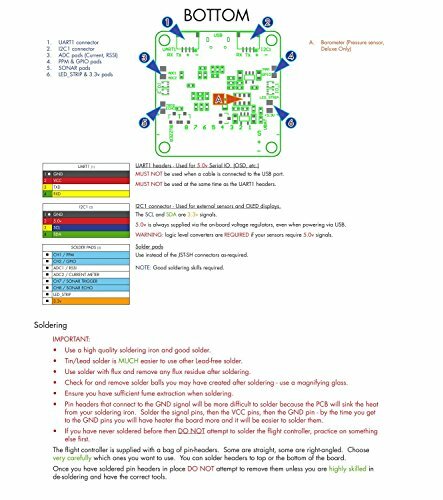 Connect your OSD + SmartPort + SBus + GPS + LED Strip + Battery Monitoring + Sonar + 8 motors - all at the same time! 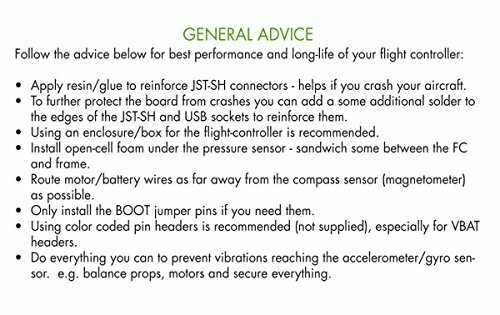 Flight Logging.On-board high-capacity black box flight log recorder - optimize your tuning and see the results of your setup without guesswork. OneShot ESC and Programmable LEDs.Full support for OneShot ESCs for easy PID tuning and a sharper response.Dedicated output for multi-colored LED strips - great for FPV racing, line-of-sight flying orientation and night flying.